As you know, every year, a three-day International Formation Meeting is organised for all Living Stones to meet, discuss, share, pray and learn together. 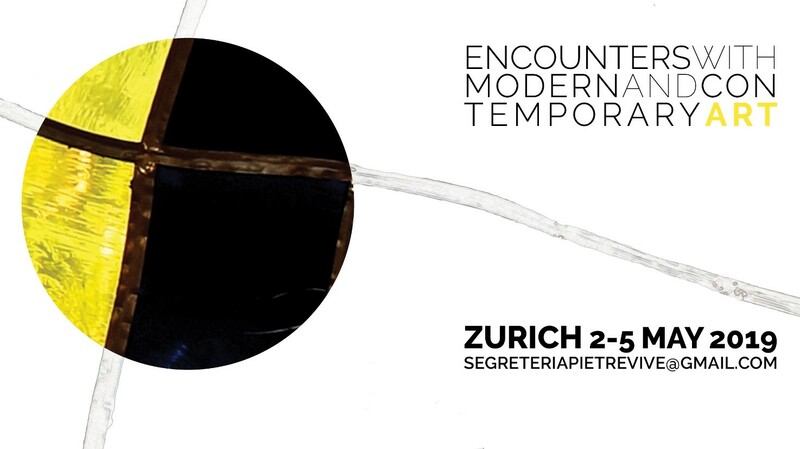 This year, through several sessions and workshops, we will have “Encounters with Modern and Contemporary Art”. We are therefore inviting you to join and to help us spread the word as much as possible! 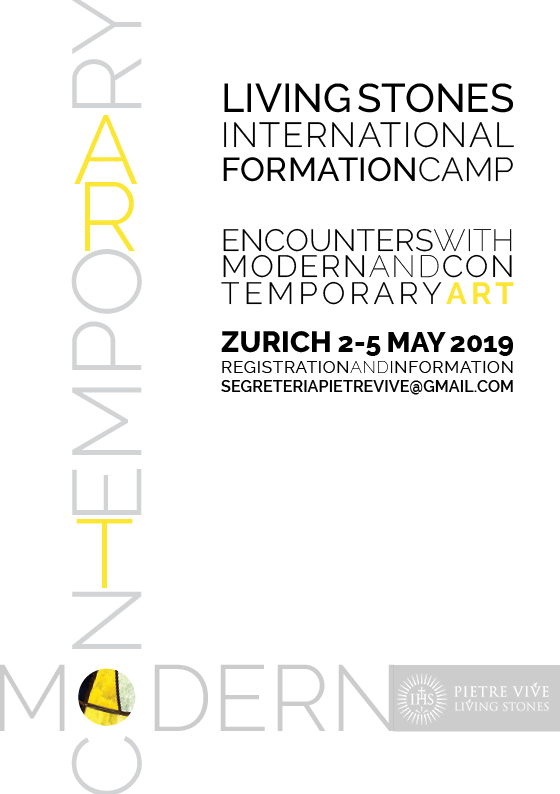 This year the meeting will take place in the buzzing and culturally-rich city of…ZURICH!! Welcome: 2 May, 3.00 PM – 6.00 PM at Parish Liebfrauen, Weinbergstrasse 36, 8006 Zürich, Switzerland. The venue is only a few minutes walk from the main train station (Hauptbahnhof HB Zürich) and the main bus station of Zürich. Many trains connect the airport with the the main train station of Zürich. The suggested participation fee (except travelling costs) is €80. What to bring: Bible, things to write, personal belongings. The formation meeting is open to all young people interested in Living Stones.